BANGKOK (AP) — A floating mosque and golf course for the submerging Maldives islands. 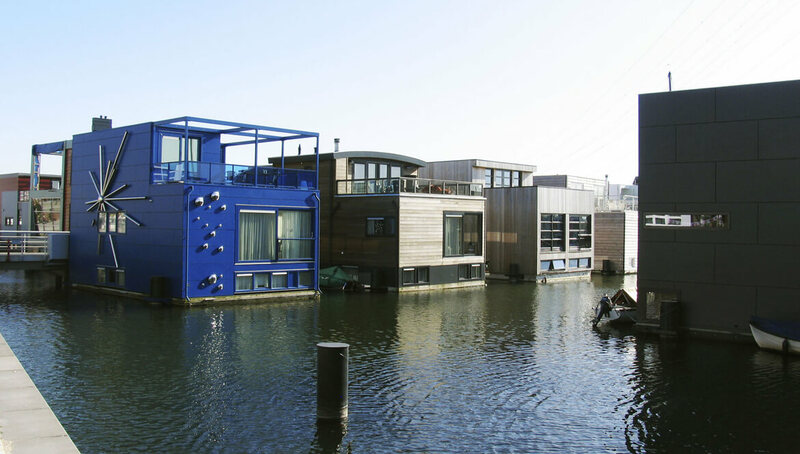 Amphibious homes in the Netherlands lifted to safety as waters surge beneath them. A hospital perched on 400 stilts to protect patients from Thailand’s devastating floods and the encroaching sea. 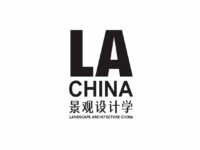 Around the world, architects and city planners are exploring ways mankind and water may be able to coexist as oceans rise and other phenomenon induced by climate change, including extreme, erratic floods, threaten land-rooted living. With the Dutch at the helm, projects in the cutting-edge field of aqua-architecture are already in place, including a maritime housing estate, floating prison and greenhouses in the Netherlands. An increasing number are coming on stream, and while earlier blueprints appeared to be the stuff of science fiction, advocates say leaps of imagination are still needed given the magnitude of the danger. 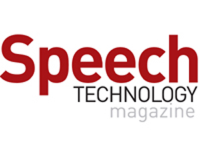 “The focus on floating solutions has grown enormously. It has shifted from freak architecture to more sustainable, flexible alternatives,” says Dutch architect Koen Olthuis, citing growing support by governments and interest among private investors in Asia and Russia. “We will have to live with a more watery environment. There is no choice,” says Danai Thaitakoo, a Thai landscape architect whose own Bangkok house was swamped last year as the country suffered its worst floods of modern times. The Thai capital is also among the mega coastal cities projected by the end of this century to lie totally or partially under water as global warming boosts sea levels, according to the U.N. Intergovernmental Panel on Climate Change. Others include Tokyo, London, Jakarta, Sydney and Shanghai — an apocalyptic prospect of mass migrations and economic crises. While in earlier decades architects and planners, particularly Japanese and Americans, dreamed of entire marine cities housing millions, most today are proposing a mix of defending communities with barriers and building on water using floating platforms, raised or amphibious structures and solutions still being devised. The Netherlands, a third of which lies below sea level, has been managing water since the Middle Ages and is thus a pioneer in the field. It has exported its expertise to Indonesia, China, Thailand, Dubai and the Republic of the Maldives, an Indian Ocean archipelago that with a maximum elevation of about 2 meters (8 feet) is the world’s lowest country. The sea-battered city of New Orleans has also sought advice from Olthuis’s Waterstudio. In the Maldives, Waterstudio has designed a network of floating islands, the first to be put in place next year, to accommodate hotels, a convention center, yacht club and villas. The “islands,” secured by steel cables, are made up of pontoons with a foam core encased in concrete that can be joined together like Lego blocks. An 18-hole golf course will also be set on such platforms, each with two to three holes, connected by underwater tunnels. 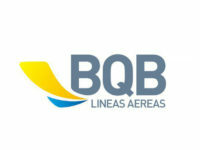 The $500 million project, paid for by the Maldivian government and private investors, is slated for completion in 2015. A floating mosque, originally destined for Dubai before an economic downturn hit, is also part of the master plan, Olthuis said in an interview. Following the principles of “water will always find its way” and “collaborating with nature,” the Dutch have reversed some of their earlier strategy of tightly defending their land with dikes by allowing the sea to penetrate some areas on which housing has been constructed. 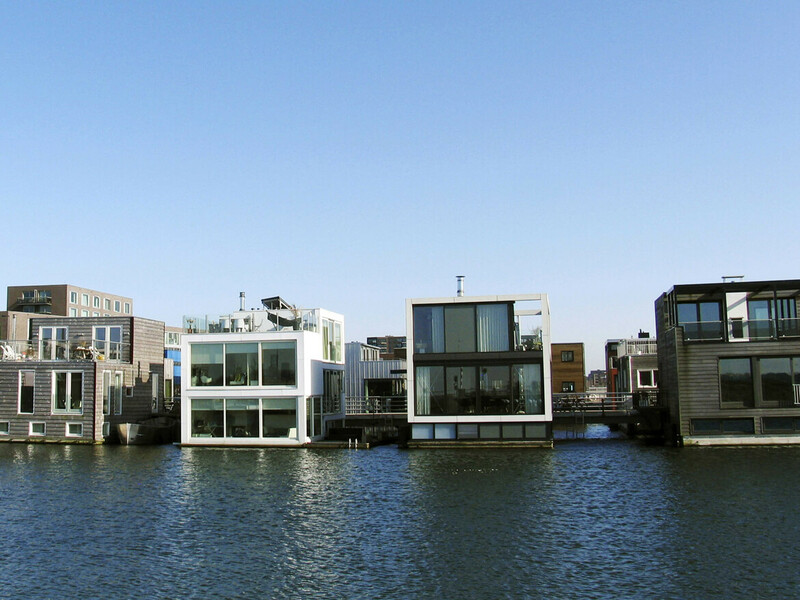 One pioneering effort was the placement of amphibious and floating homes on the River Maas in 2005. All survived major 2011 floods that forced the evacuation of villages along rain-swollen rivers. Construction recently began on the Olthuis-designed New Water estate, 600 homes and a luxury apartment complex on land purposely inundated. Interest in water-based living and work space has accelerated over the past decade, he says, and Waterstudio’s drawing boards are stacked with plans for local and international projects. 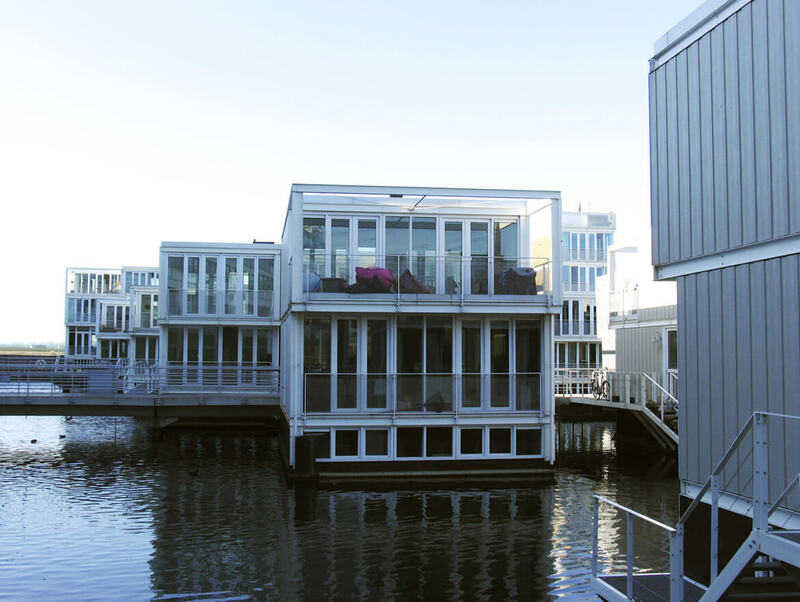 Typical amphibious houses, like the two-story ones on the Maas, consist of a structure that slides into a steel framework over a hollow foundation which, like the hull of a ship, buoys up the building when water enters. The Maas houses sell from $310,000, about 25 percent more than equivalent homes, in part due to the cost of connecting them to utilities and drainage. But Olthuis says such linkages are simple and present no inconvenience to owners. “Just proven technology of plug-and-play systems. All tested and used for years in Holland,” he says. 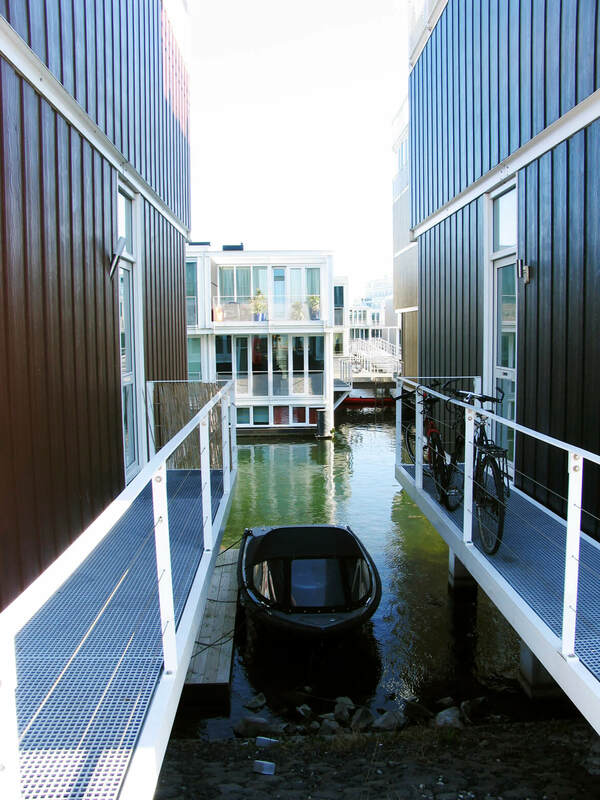 “The only time you will see a difference between a floating house and the traditional one is during floods — when your house rises above the water and your neighbor’s stays put,” Olthuis says. Along similar lines will be Britain’s first amphibious house, recently granted planning permission along the banks of the Thames River in Buckinghamshire. The 225-square-meter (2,421-square-foot) home will be able to rise to 2.5 meters (8.2 feet) in the event of flooding. Thai architect Chutayaves Sinthuphan, who will be unveiling a pilot amphibious house for the Thai government in September, says interest in such projects has grown since last year’s floods, which killed more than 600 people and affected more than a fifth of the country’s 64 million people. “We have had proposals out for some time, but nobody paid much attention to them until the floods came,” he says. His Site-Specific Company has already built such houses for private clients, using modern techniques and materials but like other architects in Asia looking to a past when communities adapted well to annual monsoon season inundations. They point to a riverside village in the southern province of Surat Thani, where everyone lived on homes atop bamboo rafts until all but three families moved on land. Those three homes were the only ones that survived last year’s floods. In the mid-19th century, almost all of Bangkok lived on houses built atop stilts or rafts. Since then, most canals have been paved over and the stilt houses replaced by a concrete urbanscape that holds back water instead of allowing it to flow through. Architect Prisdha Jumsai has borrowed from traditional methods to design Thailand’s first hospital for the aged. Work has begun on the 300-bed hospital over a permanently flooded area near Bangkok that is also subject to tides from the nearby Gulf of Thailand. Concrete stilts will raise its first floor about 4 meters (13 feet) above average water levels. “We hope this will influence people not to just fill in land but to build on water. I think it will open up new ideas for Thais who can look to traditional architecture and make it more up-to-date in design,” Prisdha says. But this still appears to be a minority view. 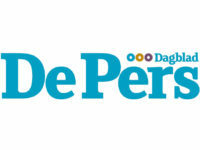 Associated Press writer Mike Corder in The Hague contributed to this story.